In early 1916 a group of 12th Battalion Sherwood Foresters stumbled across an old printing press amidst the war-torn ruins of Ypres, Belgium. A sergeant of the regiment, previously a printer on Fleet Street, declared the machine still in working order and it was salvaged by the soldiers. This discovery gave Captain Fred Roberts the incredible idea of creating a satirical publication to raise morale amongst the weary troops. 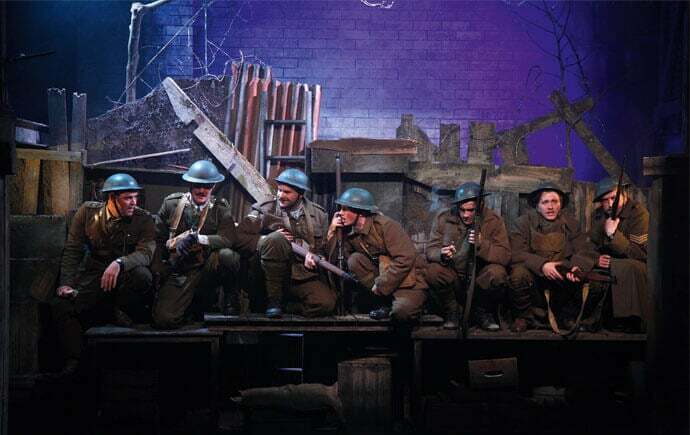 It was gallows humour at its best as The Wipers Times (a common mispronunciation of Ypres) poked fun at everything from The Bosche to their own top brass and quickly became a huge hit in the trenches. After turning the story into a well-received BBC drama in 2013, Private Eye editor Ian Hislop and satirical cartoonist Nick Newman are now bringing the tale to the theatre. Exposed sat down with the duo at The Lyceum last month to discuss the history behind this improbable publication, the role of black humour and their personal relationships with satire. 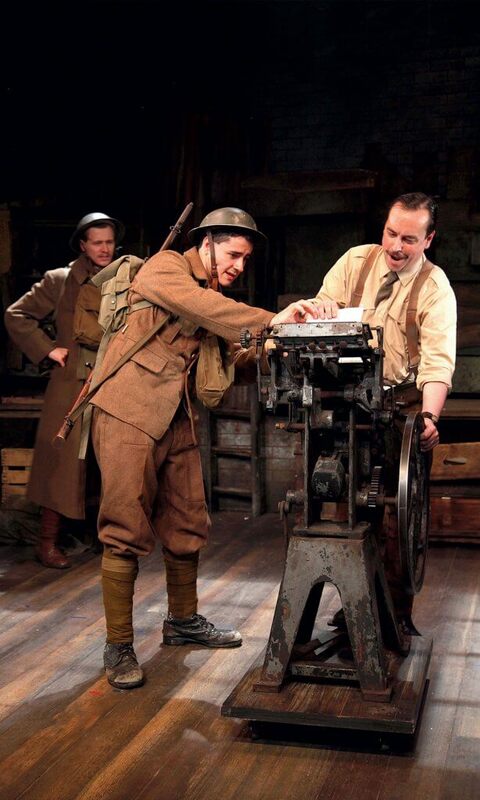 When did you first come across the story of The Wipers Times? NN: It was so like Private Eye in terms of the scrapbook-like feel and the potpourri of silly jokes and articles alongside some more serious bits. There was such a great mix to it. We could have made a serious documentary about it all, but it just struck us that some of the jokes were perfectly formed sketches in their own right. We wanted to bring those to life and wake people up to the fact that this sort of thing actually went on during the war. IH: The people behind The Wipers Times loved the theatre; they were obsessed by musicals and would visit the theatre when on leave then return and write about it. It seemed like the perfect place to bring the story to life. Plus, all of the scenes showing the two men putting it together are naturally quite enclosed – they’re either stuck in a trench or a dugout. You don’t need big action sequences to show that, so it naturally fits the stage really well. NN: We had actually started writing it as a play in the first place. We’d been banging on about it without success for years, and whenever something such as War Horse or Birdsong came along we’d remind people that there was still The Wipers Times story to look at. Though it is slightly underrepresented in terms of film and theatre, especially when compared to the Second World War. Why do you think that might be? Lack of a pantomime villain like Hitler? IH: I think that’s right. Because there were no Nazis or Hitler in it, some people don’t seem to find it as interesting. And I suppose America didn’t come along and win it. IH: [Laughs] Yeah, so why would they bother making a film about it? Since The Wipers Times is such an incredible story to take in, how closely does the script reflect what really happened? NN: Virtually everything we’ve written did happen. IH: All of the incredible stuff is true. 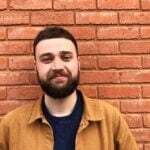 We’ve even managed to find a newspaper cutting from the sergeant, Tyler, who used to work on Fleet Street, in which he writes back home to his local newspaper to inform them they’ve found a press and started printing a magazine for the troops. He tells them how well it’s being received and mentions that they should try to get their hands on a copy, as it will be worth a lot of money in time. It was an incredible thought to have. NN: It was incredible that they were aware of how successful they were. However, history seemed to pass them by and they ended up dying in obscurity. That’s another thing which made us want to make sure people knew about it. I found while watching the BBC film that laughing with the characters creates a closer bond. Humour isn’t something you see much of in war films, and it almost makes them more human to the viewer. NN: I’m glad you found that. I suppose virtually everything we’ve seen about the First World War focusses on the loss and the tragedy; you can go through the whole of The Testament of Youth and not one person smiles. Whereas in reality we know that people often cope with horrific situations by trying to make light of it and the gallows humour kicks in. IH: It’s a really good point. Nick’s dad flew Spitfires in the RAF and his brother flew during the Falklands War. Both of them are very funny people. Their take on gallows humour was: “This is what fighting men do. This is how people survive.” I think you believe in the characters more because they’re trying to make each other laugh; they’re being funny to show that they won’t be reduced by the horrors, to show that they are still themselves. Can either of your recall what first got you into the world of satire? NN: I went to quite a posh prep school and I was certainly aware of Private Eye as the teachers would buy it to see what the parents of the boys were up to! From quite an early age I knew all about blowing raspberries at the establishment. IH: Nick was older than I was, and he and his friend, Simon, were putting together this satirical comic review which he invited me and some friends along to. We’ve been working together on and off ever since. Nick set up a magazine, Passing Wind, and when I arrived at university he very kindly sold it to me. Nick now claims he is entirely responsible for the whole of my career since. NN: Absolutely! Because at this magazine we decided to do celebrity interviews, and when Ian came in he decided to interview the Private Eye editors Richard Ingrams and Peter Cook, which led directly to his involvement in the magazine. IH: Nick had a proper job at the time. He was a very serious business journalist. I later lured him over to the dark side at Private Eye to join the freelance brigade of humourists. Do you have an added layer of respect for the Wipers Times considering that you both have spent much of your professional lives navigating tricky waters in what you can and can’t print? Have you ever thought: ‘Well, if they can write about shooting their own officers during WW1, then I’m printing this!’? NN: They were certainly an inspiration in that way. It did make us think about what jokes are okay to do. We have been working during events such as 9/11 and the death of Princess Diana with an issue of Private Eye to publish the next day. Naturally, you do ask yourself about boundaries quite a lot. NN: Well, I don’t think that there are. IH: Can I add that Nick has much worse taste and no editorial responsibility! NN: [Laughs] But so much of comedy is about timing, and you can look back in shock at The Wipers Times and the jokes about flamethrowers as being bad taste. However, it was all about belittling the horrors around them. IH: Are there any boundaries? I say that if you’re making a point then it is justifiable; if you’re doing something just to offend the relatives of the dead, for example, then I don’t think there is a place for that. In an average issue of Private Eye, how many things are cut for crossing the line? IH: Not that many, actually. I mean, the things that are omitted are mostly written by me [Laughs] and I send the letters of complaint straight to Nick. Finally, how will this production differ from the BBC film? NN: We’ve expanded certain elements of it. The film touched on the temperance movement but in the play there is a lot more given to that. We’ve also expanded the female roles in it, partly to make it more engaging to a wider audience as that was one criticism we had of the film. However, it’s kind of difficult since you can’t get away from that fact that there weren’t many women at the frontline. IH: But we’ve managed to tell more stories of the soldiers’ partners and wives back home via flashbacks and letters home. It makes the story richer and more rounded. NN: It allows you to get a sense of how they weren’t just fighting the Germans; there was the temperance society, who were trying to ban alcohol from the frontline, which was pretty much the only thing keeping them alive. They were fighting against their own top brass and they were also thinking about their families at home. So much information has come from the additional research we’ve been obliged to do, and it provides an added sense of jeopardy to the story. 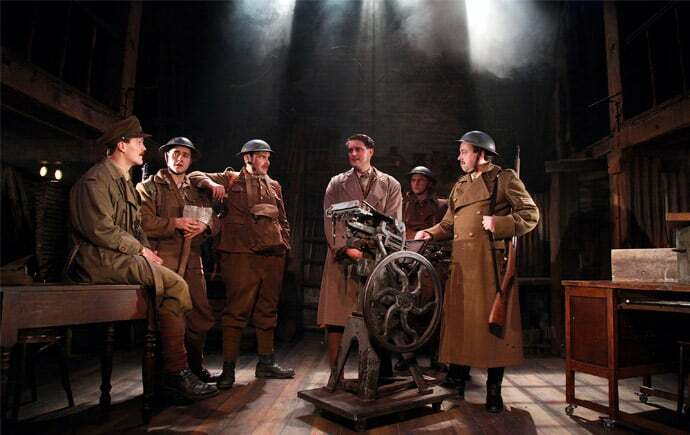 See The Wipers Times at the West End’s Arts Theatre for a limited season this October. Tickets are available here.